Soothe the savage sweet tooth with our delicious - and healthy - chocolate pancakes. 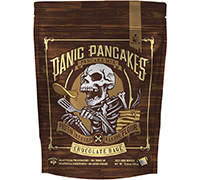 Treat yo’ self, and turn breakfast time into an indulgence with Panic Pancakes™ Chocolate Rage pancake mix. They’re so rich and delicious, you won’t believe you’re taking care of both your taste buds and your health at the same time. Every serving of our Chocolate Rage pancake mix comes packed with 20 grams of protein for sustained energy that lasts beyond the sugar high of traditional pancakes. Blend in Angry Mills™ Peanut Powders or top with your favorite Angry Mills™ Spreads for an extra kick of protein so powerful you’ll stay feeling full for hours. 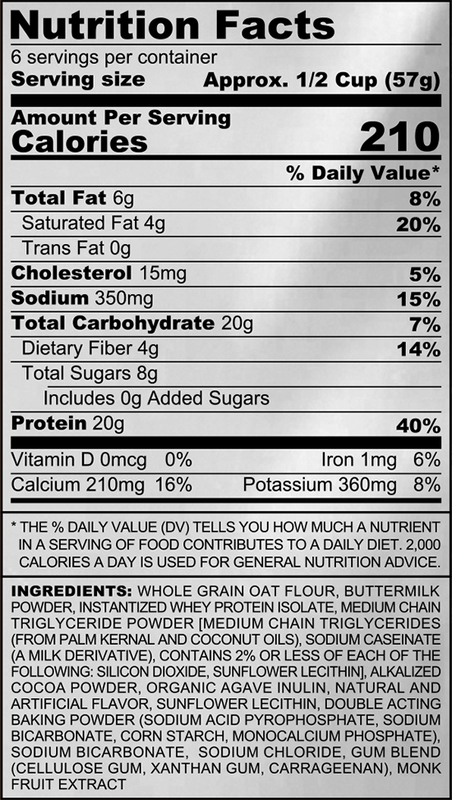 What It Contains: Say no to commercial pancake mixes, which rely too often on artificial ingredients and added sugar for their flavor. We’ve formulated our Chocolate Rage pancake mix to include the protein, vitamins and nutrients you need - nothing else.